Ethiopia, which dispatched 6500 young soldiers to safeguard the freedom of Korea during the Korean War, is a blood-pledged country of Korea. However, Ethiopia has been undergoing civil war and continued starvation for the last 20 years so that its economy is sluggish itself and more than 50% of its population are suffering from poverty and lack of food. To make matters worse, AIDS as a lethal disease is too prevalent for men to work at farms so that its produce yield decreases and famine worsens more seriously than ever. Therefore, that Korea stepping into the powerful economy helps Ethiopia, the brotherhood country in need is not only an authentic support, but also a real reward for joining the Korean War in 1950. Thus, we would like to support many Ethiopian children whose parents were died from AIDS or serious poverty with free meal service, education connection, alms and hygienic service. At present About 4.6 million orphans who lost their parents from AIDS disease and starvation are suffering these days, whose death toll is the highest in Africa. Especially, 65000 children in Addis Ababa are undergoing dystrophy and reduced immunity so that they are exposed to AIDS again, which is "a vicious cycle of poverty and disease". Now we work in a village called Got matar placed in Bondo, Kisumu, Kenya. Got matar is extremely poverty and many people in this village earn money by small-scale farming, fishing at the lake Victoria, the Nile. The number of poor people is very high. 70% of the people in this village are situated absolute poverty, therefore they really hard to get clear water, health, hygiene, food, etc. Furthermore the problem of HIV/AIDS is getting serious. According to a survey, an HIV positive person is 80% of the total population(4,200,000 people). Six people of the ten people are infected HIV/AIDS, Eight children of the ten children loses their parents because of HIV/AIDS. UN recognize the problem of Kisumu, and so designated Kenya, as a city of millennium for Millennium Development Goal's. KVO is based on UN MDG's, work for preventing HIV/AIDS, support for hygiene, education, etc. 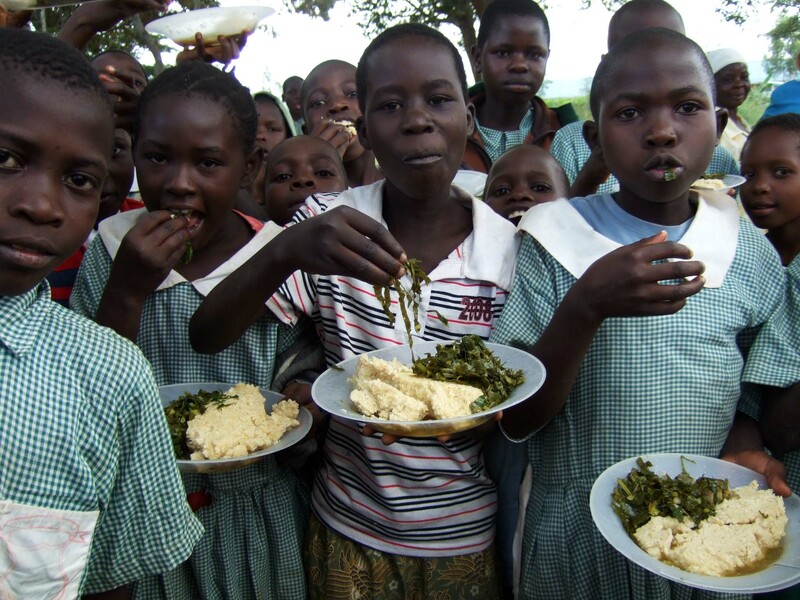 For street children who do not have only one meal a day, we are providing them with meals as the unit of five hundred people in a region In Ethiopia and Kenya. The support member of The Five hundred People¡¯s Table has to be a day cook to take charge of a day¡¯s meal of five hundred children and support two hundred fifty dollars monthly for the one table a day for them. This movement will spread out all over Africa with the free feeding in Ehiopia as a beginning. - Providing lunch: 12:00~13:00 in the afternoon. 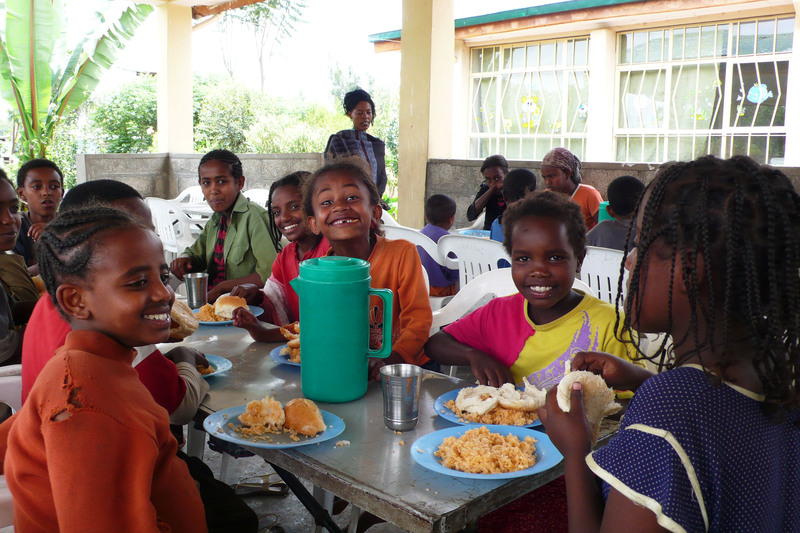 To make African children live a decent life at least, we provide Ethiopian children with meals. It makes them eat their fill in spite of just one day. Besides, they receive an education in a school with the support of our organization. By doing activities like these, we try to help African children to stand their own feet in the financial, physical and mental aspects. As a result of this, our effort will contribute to improvement of friendship between Korea and African countries, and cooperation as a brother country. Also, it will contribute to the peace.